Beer is for many reasons one of the most popular alcoholic drinks for people in many countries. If consumed in moderation beer has a number of benefits to offer to our health. If on the other hand beer is consumed in quantities above the normal (which is happening in the majority of the cases) then these benefits are no longer valid. In fact excess consumption of beer or any other alcoholic drink creates many health problems, to say the least. Beer is considered one of the oldest alcoholic beverages. There are historical findings showing that the first people who made beer go back to around 9000 BC. To be more precise they found chemical evidence to support the production of beer by our ancestors in ancient Mesopotamia. Indeed, there was the Goddess of beer “The Ninkasi” in which they devoted a special hymn that was simultaneously a prayer and a way for people to remember the recipe for making beer. Beer is the third most popular drink consumed by people worldwide; the first two places are occupied by water and tea. Beer is produced by fermentation of grain, especially barley, but also by wheat or other starches such as rice and corn. The beer is enriched and flavoured by hops. There are numerous varieties of beer depending on the natural product used in fermentation, in the aromas, herbs or fruit that are added. The raw material is usually barley and hops (with their skins) that carry beneficial and important nutrients. Science today confirms many of the positive health benefits of beer as believed by people in ancient times and the Middle Ages. Vitamins B, the silicon and the ethanol are some of the ingredients of beer that are positively affecting our health when consumed in moderation. What does research say about moderate consumption of beer? Research accumulated over the last 40 years shows that beer can help to promote a better mood, reduces stress, increase good cholesterol HDL, protects against heart attack, stroke, high blood pressure, diabetes and dementia. Epidemiological studies have shown that moderate consumption of beer is associated with reduced risk for high blood pressure and coronary heart disease i.e. myocardial infarction. The diuretic properties of beer are also useful in several situations. In addition the silicon in beer strengthens the bones and helps substantially against osteoporosis. See also: Is drinking alcohol good for you? 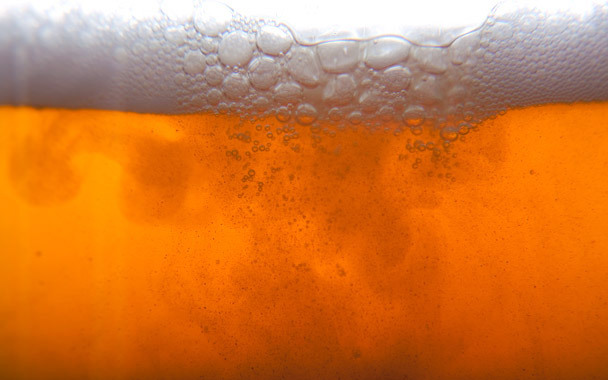 Drinking beer in moderation is essential to derive the benefits offered to our health. Beer is packed with nutrients, contains no fats or cholesterol, reduces stress improving mood, helps the heart, the circulatory system and bones. However all researchers and doctors stress that the positive effects of beer are true with moderate beer consumption which is 1 to 2 glasses per day. Excessive and inappropriate consumption of beer leads to health problems and other implications (such as the beer belly effect).